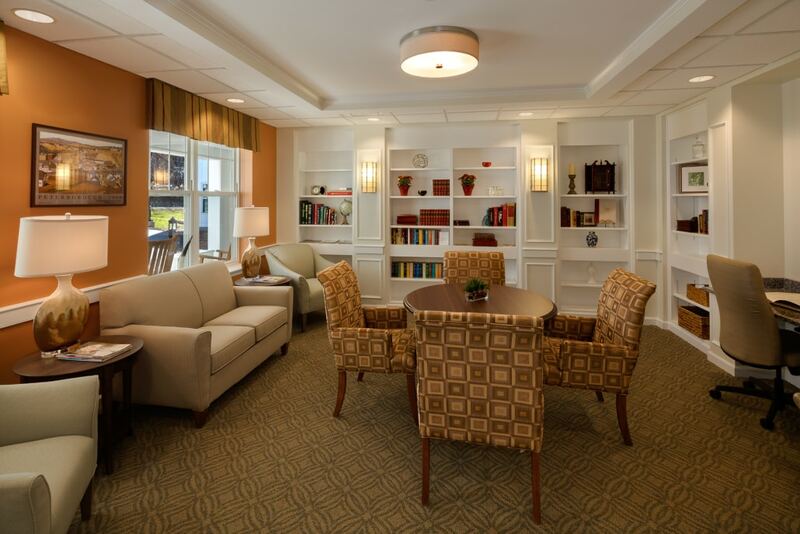 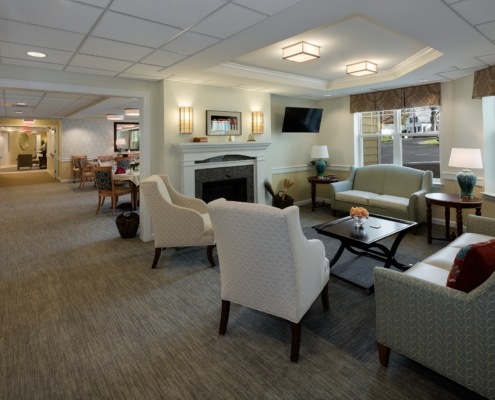 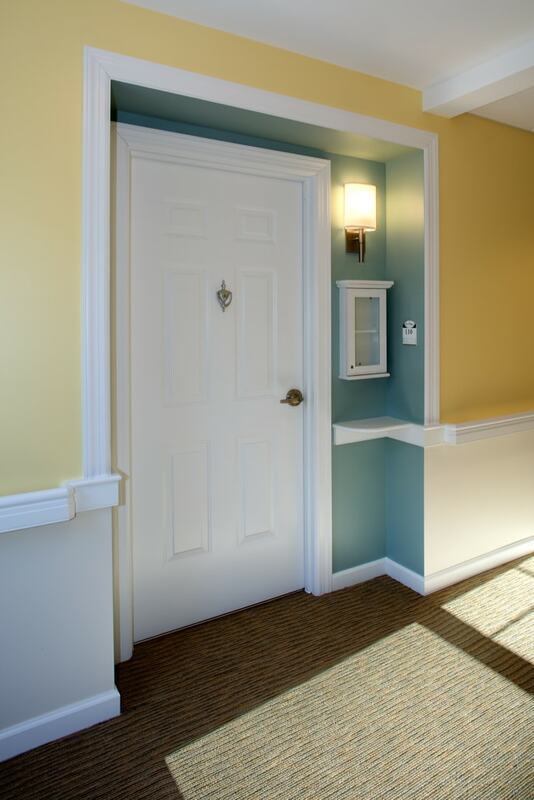 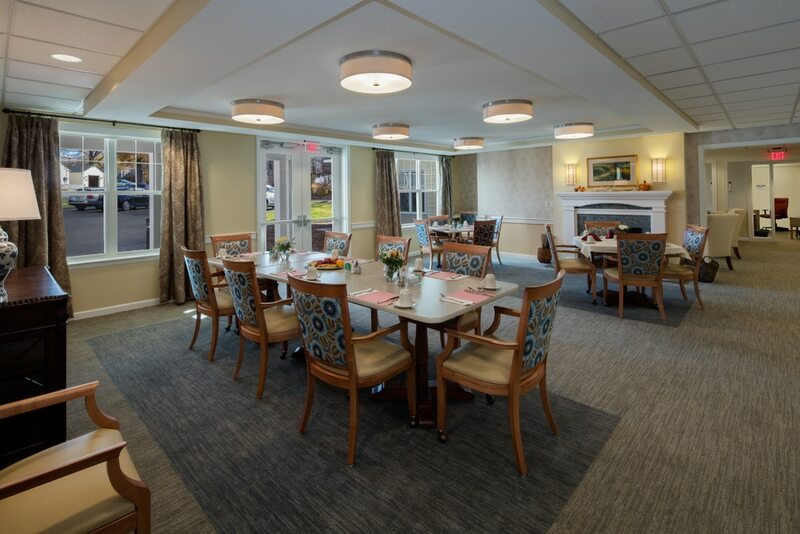 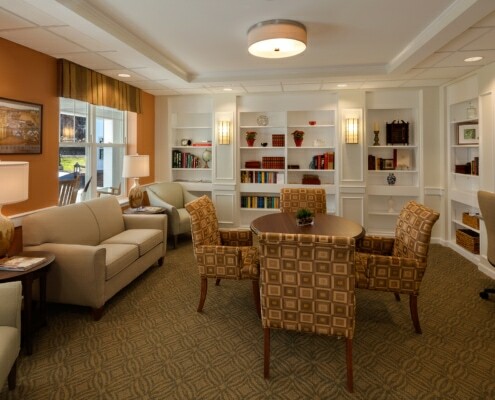 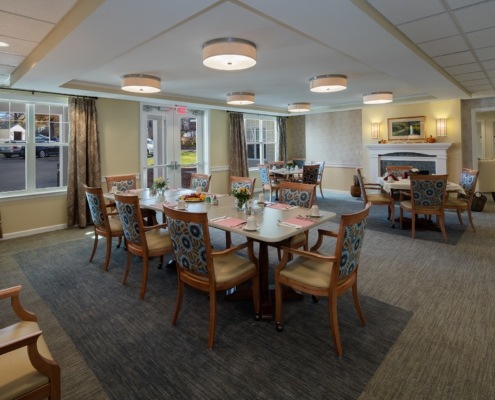 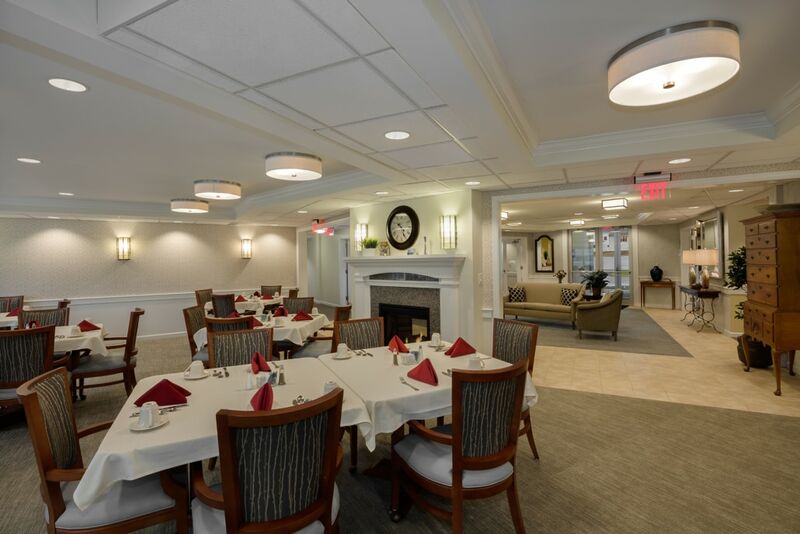 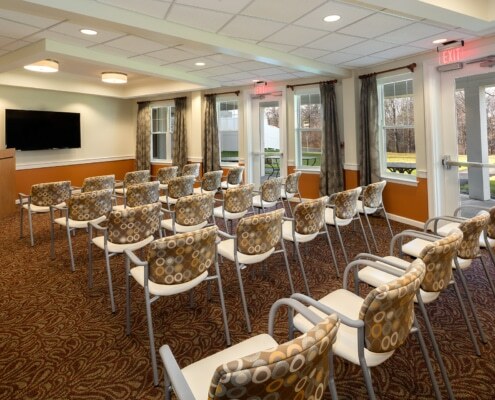 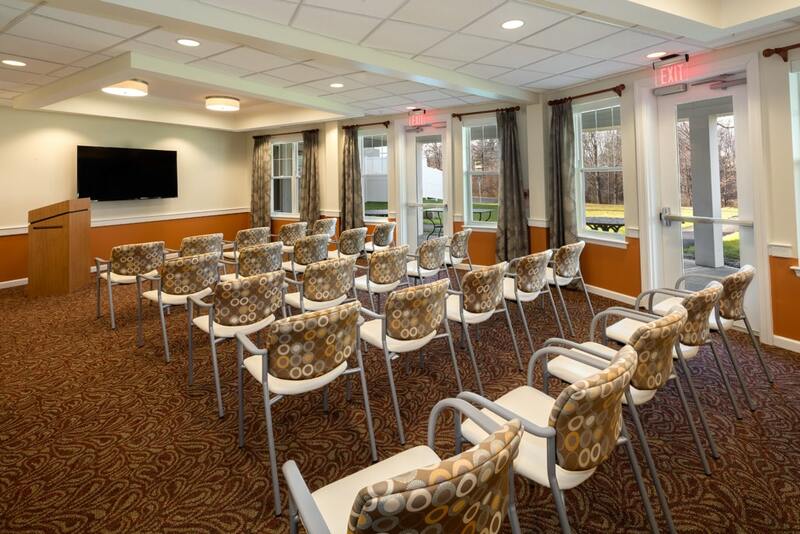 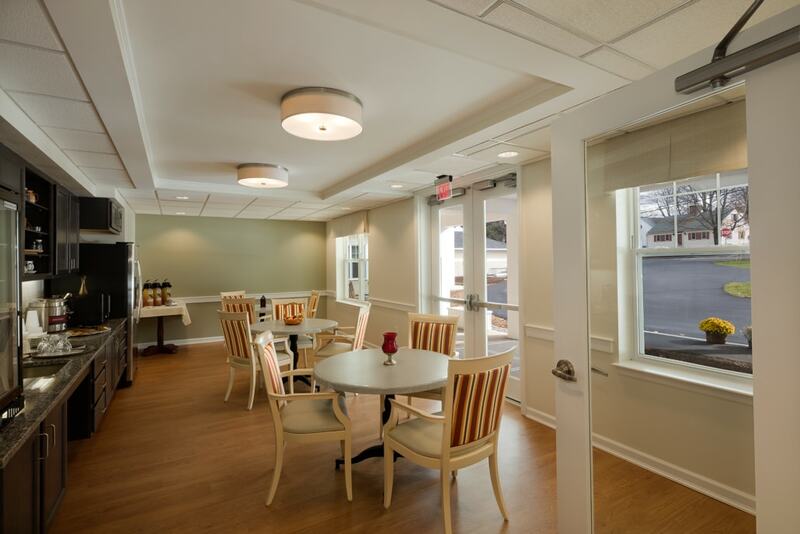 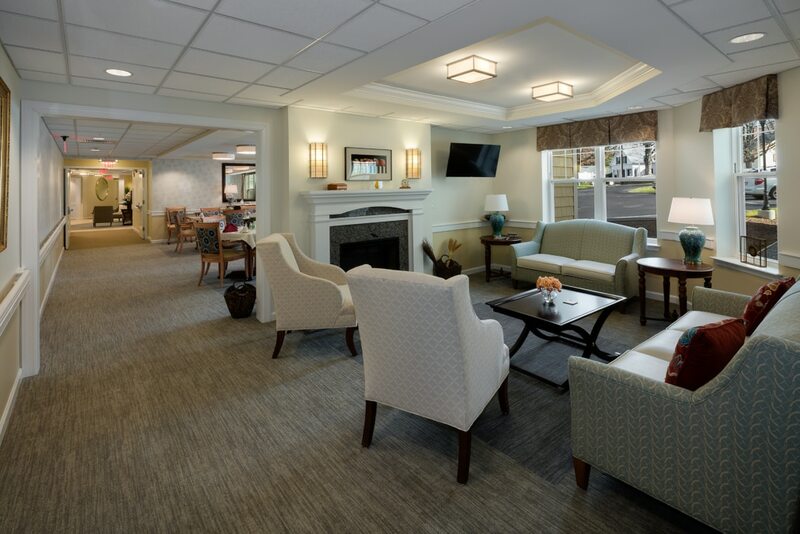 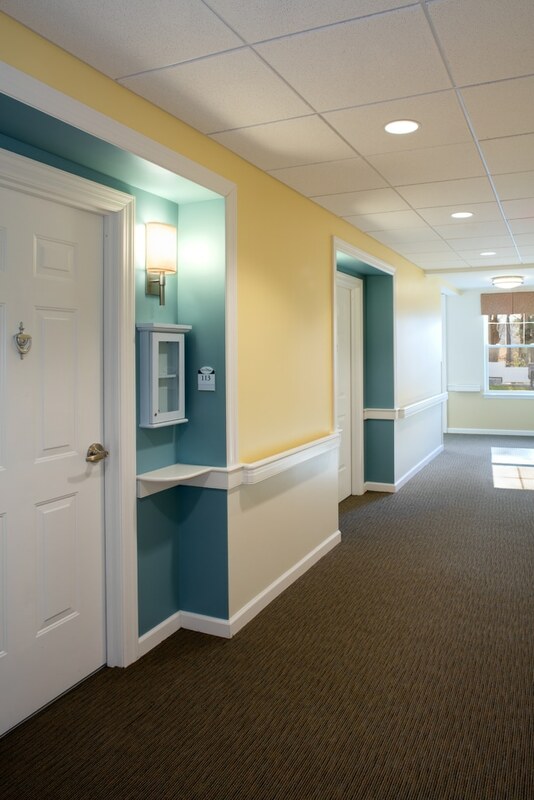 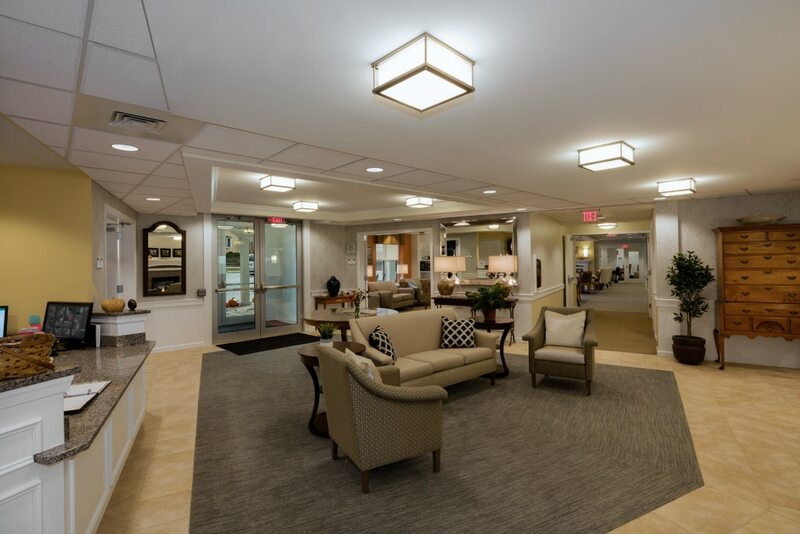 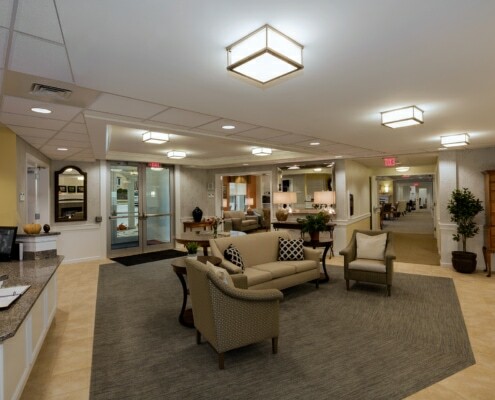 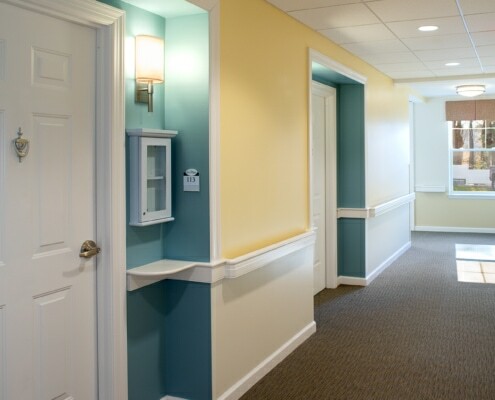 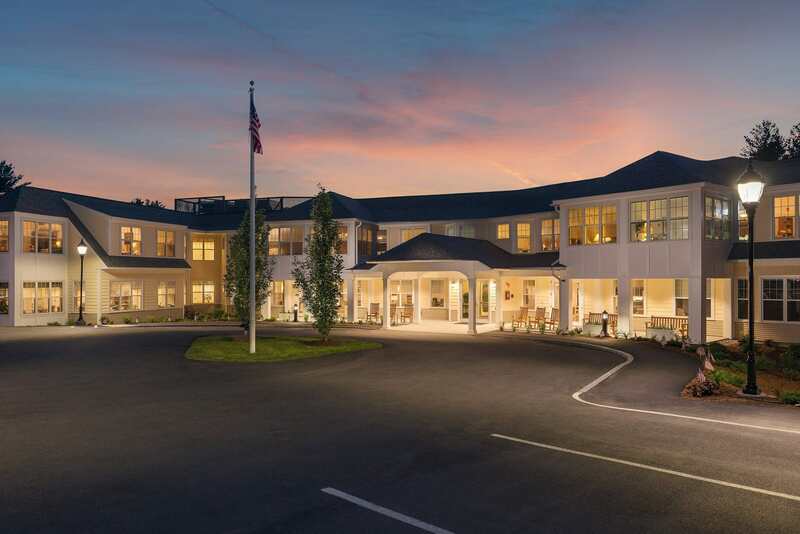 The Scott-Farrar Home in Peterborough, New Hampshire recently replaced their existing 1950’s building with a new state of the art licensed residential care facility. 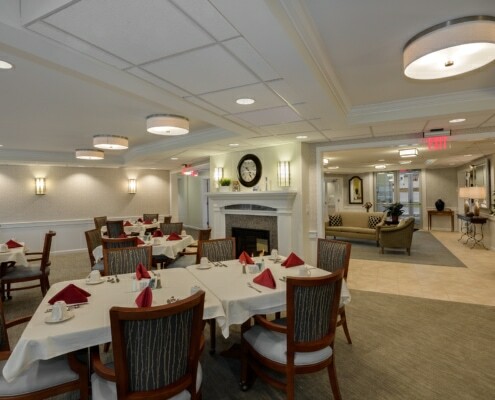 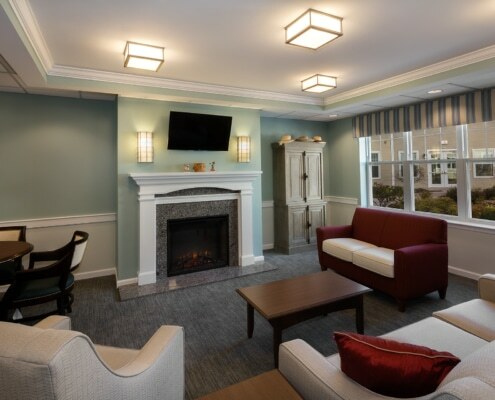 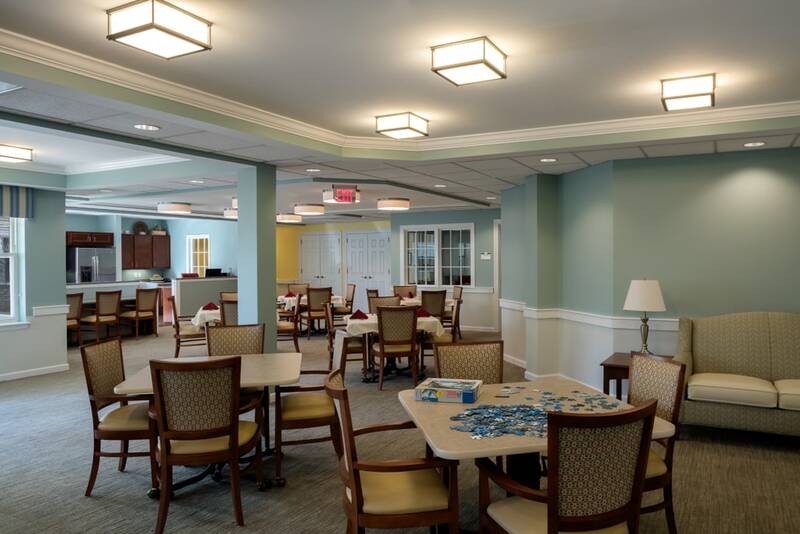 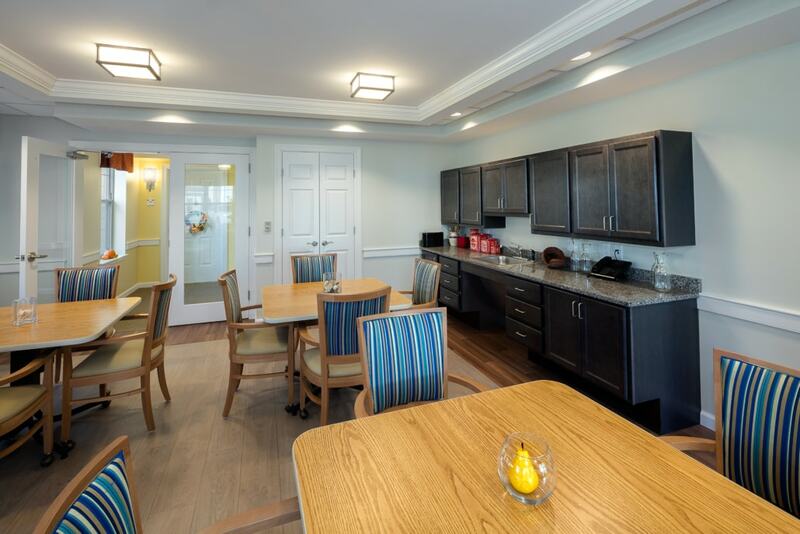 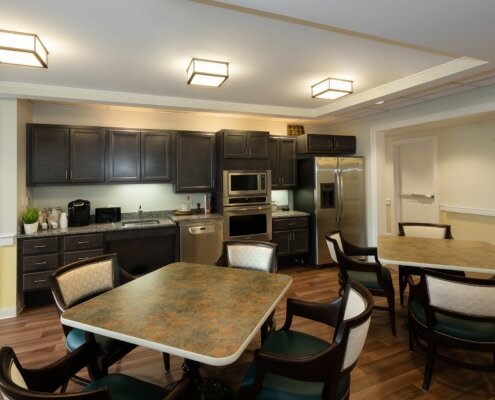 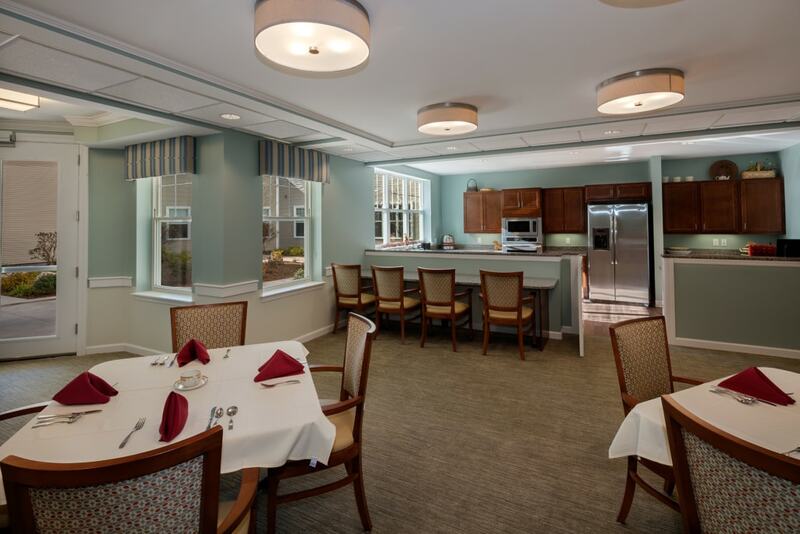 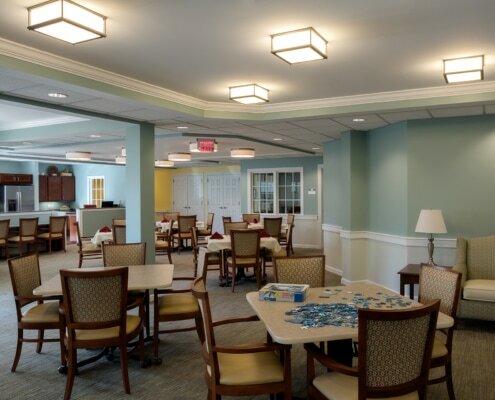 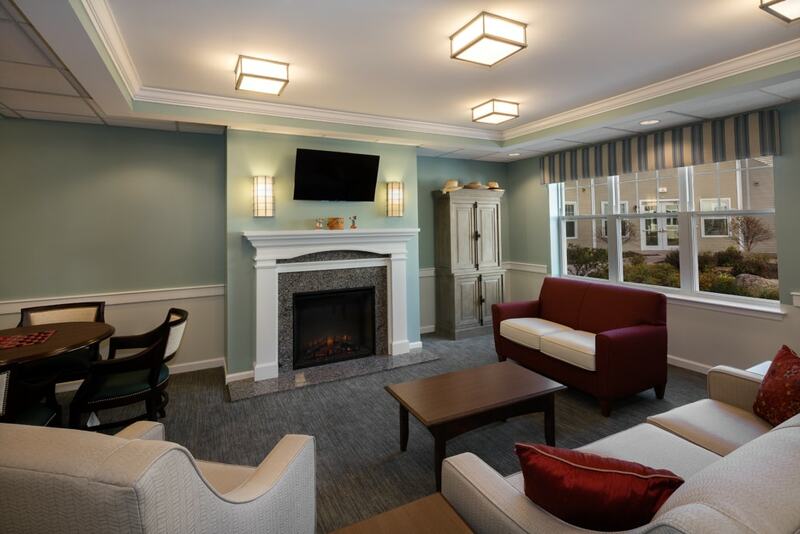 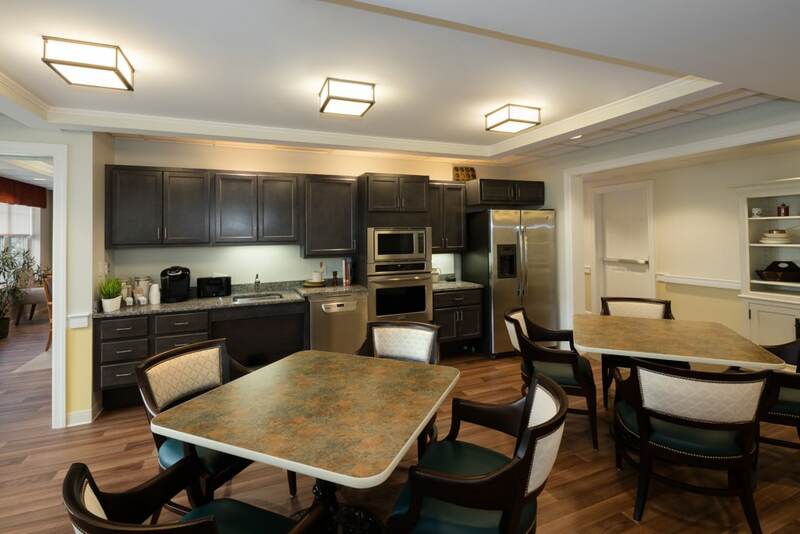 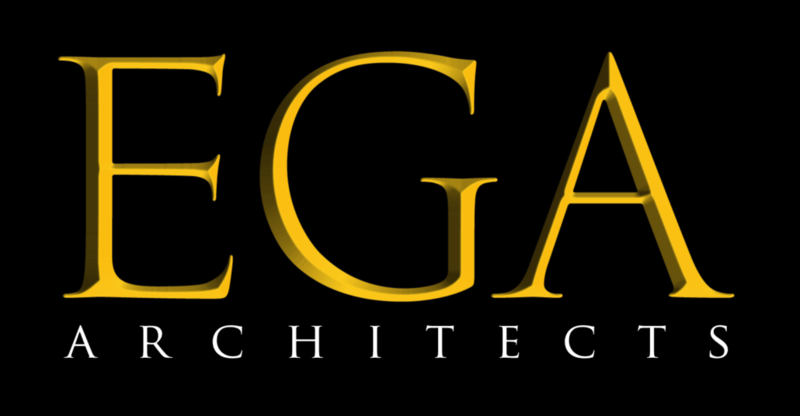 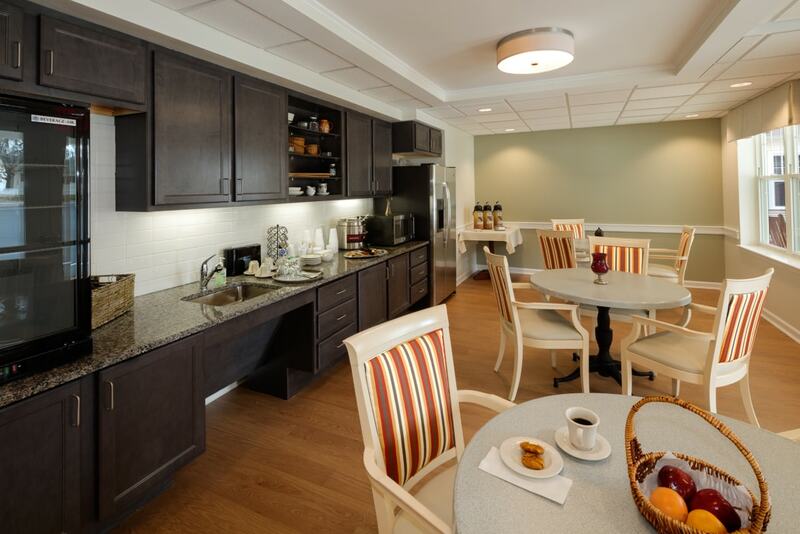 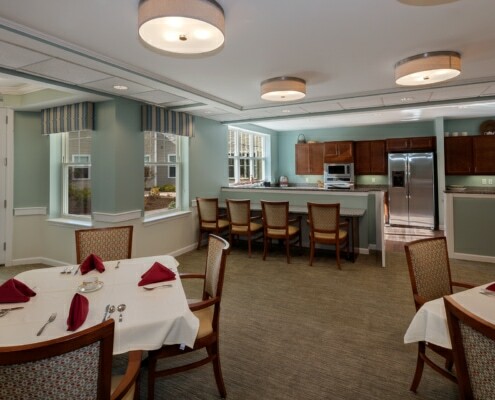 The 73,000 square foot building is composed of 25 independent living apartments, 20 assisted living apartments, and 18 memory care apartments. 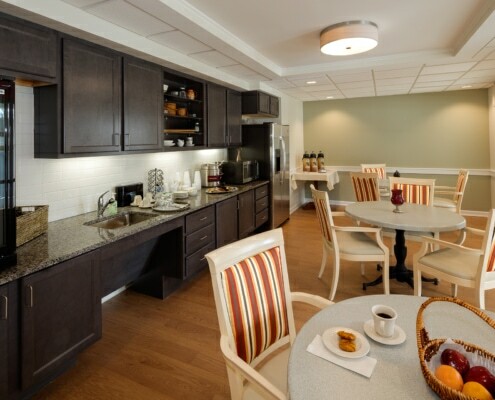 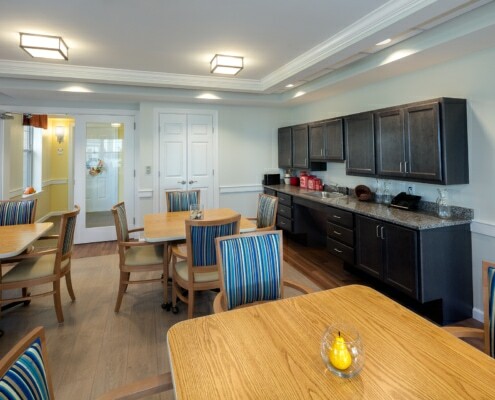 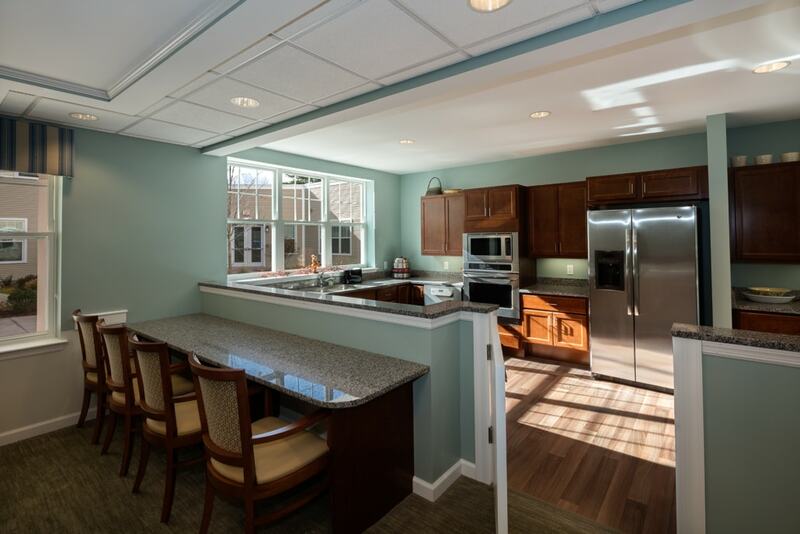 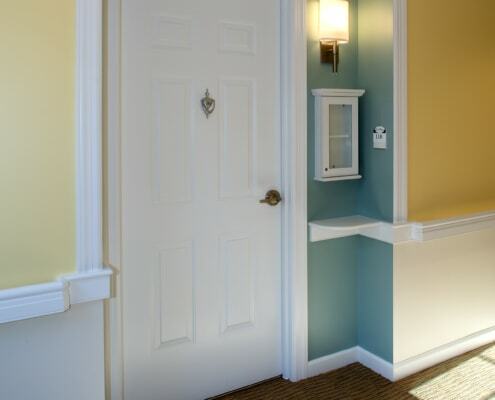 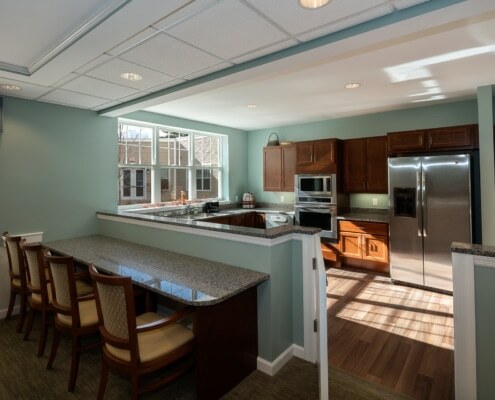 There is ample parking for residents, staff, and visitors distributed throughout the site including 16 garages that are connected to the main building for the independent living residents. 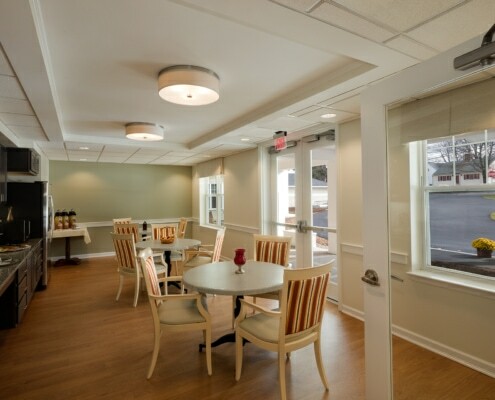 Walking paths and resident gardens are also located along the building’s perimeter with a memory support garden securely enclosed within the building envelope.